scottsol wrote: You mean every order will now have the same quantity of chips within less than an order of magnitude error? I would think it would be difficult to eat rotating sausages. scottsol wrote: I would think it would be difficult to eat rotating sausages. Great. Now what do I get for winning the game aside from a stomach full of smoked sausage? scottsol wrote: Great. Now what do I get for winning the game aside from a stomach full of smoked sausage? How is that not reward enough? Last edited by rubbbqco on March 27th, 2017, 7:23 pm, edited 2 times in total. I will pay you to stop importing them. The new menu has been posted. 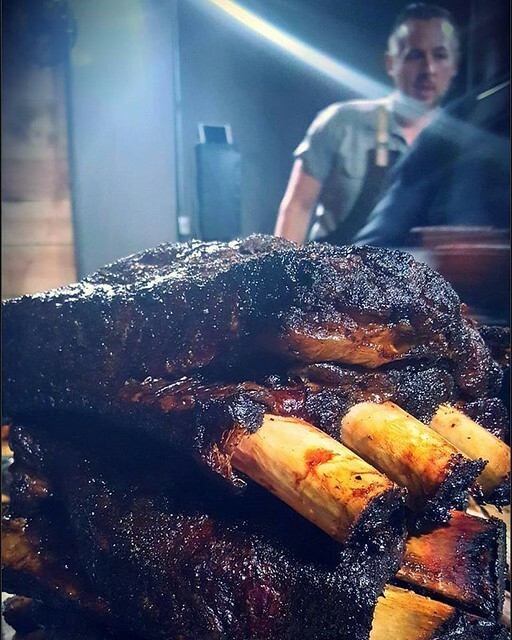 Beef ribs not on menu, Will they be a regular special? Do the entrees come with anything? No mention on the menu. Did you 86 the home made sodas aside from Root Beer? What are the serving sizes on the two and three meat options? For the two Meat and three Meat I find the "Choice of ribs $2" to be just a little ambiguous. If I were king I would include the ribs on the left hand list with + $2 next to them. If I were emperor I would only have one meat list for the Two and Three meat. As it's exactly the same list it makes the customer do more work then needed. Finally, please don't allow me to order one of everything tonight. homemade sodas were delicious, but we expanded our kitchen (for the bigger menu) and we lost some room at the server station to make the sodas. we also took out our soda fountain, so for drinks we have: fresh brewed sweet tea, iced tea, lemonade, and 100% cane sugar sodas (in bottles). Coca Cola, Squirt, Hank's Orange Cream.. We also have our root beer on tap. Jared, just a thought in terms of leftovers. 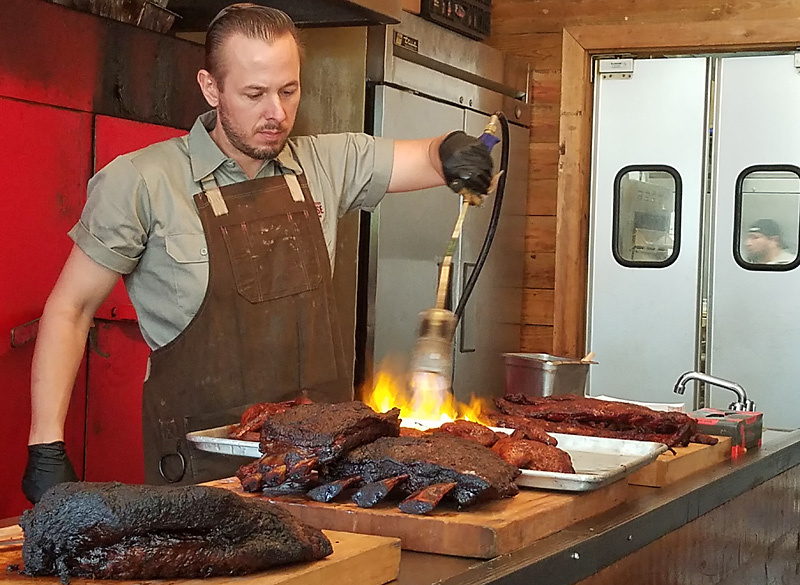 A BBQ place I visited in the south instead of "re-therming" product, would use the leftovers and each morning serve Brisket breakfast Tacos and Burritos, mixed with eggs and potatoes. Sometimes other product such as sausage or chopped beef too. It was all sold on a "here until gone" basis, which most mornings meant get there early if you really wanted some. Very reasonably priced at like $1.75ea. And, of course, you'd have to open for breakfast. 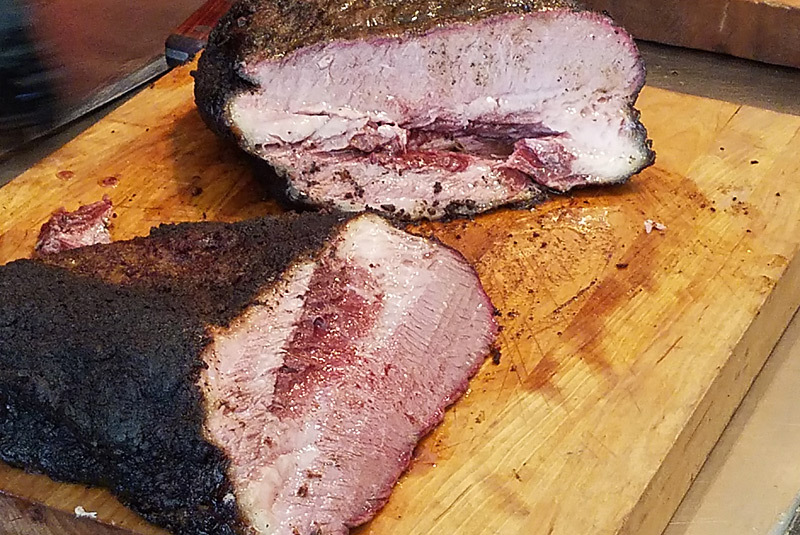 thetrob wrote: A BBQ place I visited in the south instead of "re-therming" product, would use the leftovers and each morning serve Brisket breakfast Tacos and Burritos, mixed with eggs and potatoes. Sometimes other product such as sausage or chopped beef too. I actually had a discussion with the owner. He said the idea for the breakfast items started not just because there was product that he didn't want to serve re-heated, but also because there was always staff prepping and cooking meats for the days lunch meals anyway, and it was a way to reduce waste and increase profits without a lot of added effort or expense. They still estimate the amount of product needed on any given day, and they do not "cook extra" just so there will be leftovers for the next days breakfast. He said there are plenty of days when there is not a ton of leftovers, so the morning run is short. Cabbagehead and I just had a nice supper at the BBQ Supply Co., aka Rub's Backcountry, aka Rub BBQ. The room looks open and airy now but retains the rustic barn wood and whitewashed brick--very nice. Food was excellent. I tried the smokehouse salad (lettuce mix, roasted corn, black beans, juicy and fresh grape tomatoes, cukes, and topped with a generous (for extra $2) amount of chopped brisket. I know, who goes to eat a salad at a BBQ place, but it appealed on the menu, although I went in determined to try the Waygu brisket burger. Cabbagehead had the rib tips, which we hadn't tried before, and he was very happy with them. Side order of the pit beans is a given, still as good as ever. The delicious smoked potato chips and housemade pickles were still provided as we sat down. Very glad to have this place, whatever its name is now, in the neighborhood! 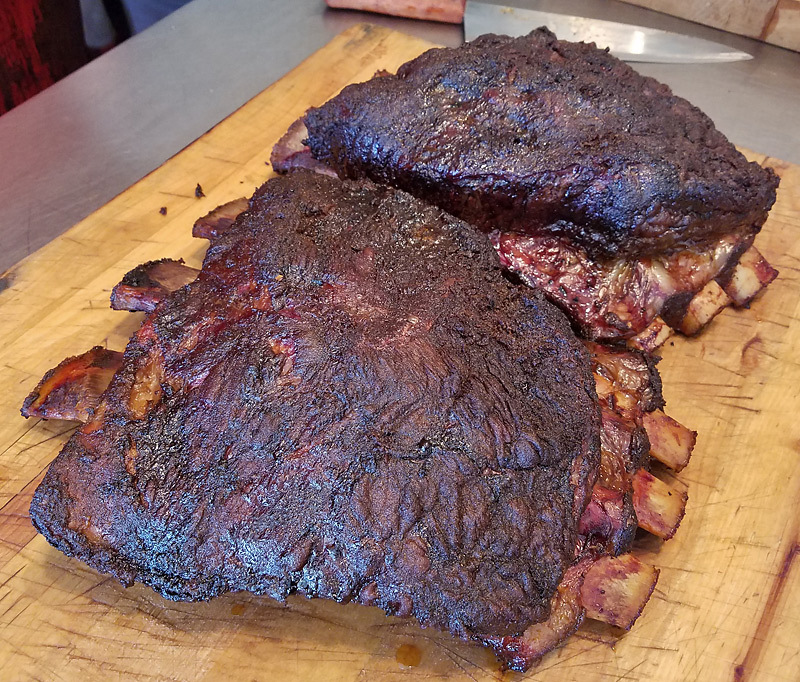 To put this in perspective, the beef ribs at BBQS sell for $25 lb which comes out to about $38 per bone. 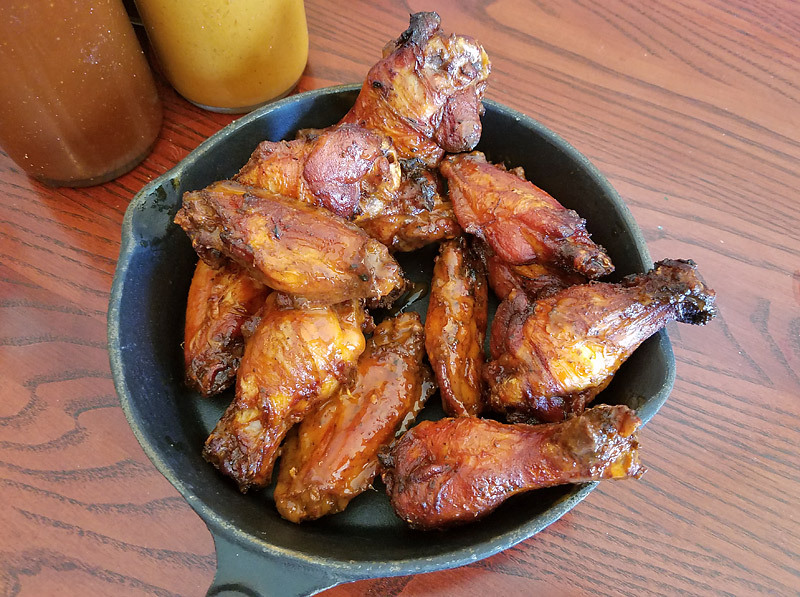 In honor of the outstanding half Chicken and beef rib served last night I hereby donate the following tag lines to BBQ Supply Co. I met a couple of friends here last night. Arrived around 7:30 and had a short wait for a table. Solid service all around. 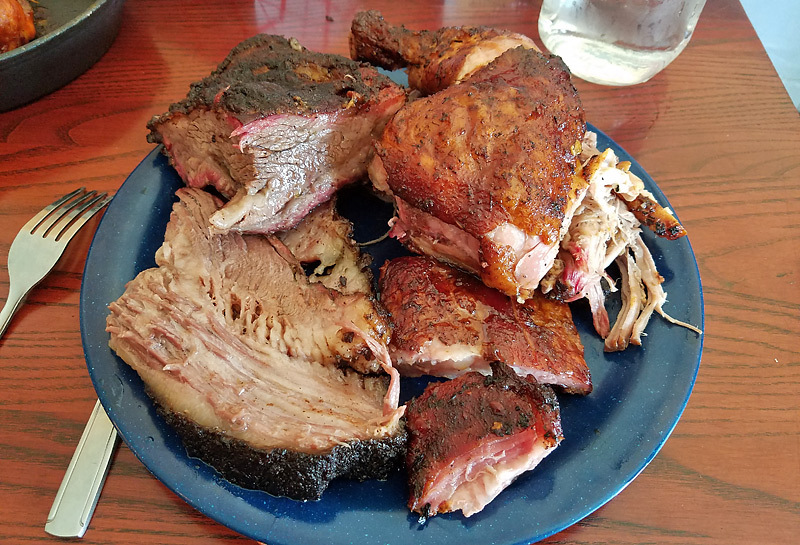 Jared was also kind enough to set aside a beef rib for me last night, and it was absolutely perfect in terms of seasoning (including smoke) and cooking. A gigantic piece of meat, I took some of the rib home. This am, sliced some off, placed on a toasted Whole Foods Baguette (rubbed in a little of the resulting, rendered beef fat) . . . breakfast of champions. I still have a little bit left too! Smoked potato chips are always a great starter. Really enjoyed the potato salad but love the cornbread. I also like the mac & cheese much more these days. The last few times I've had it the truffle oil has been dialed back to where I can't notice it, and it doesn't need it -- really good. 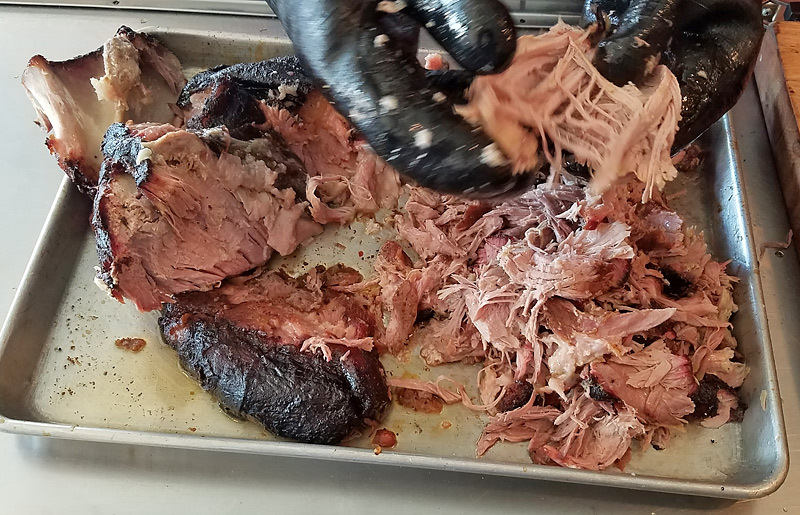 My friends both had pulled pork and enjoyed it a lot too. 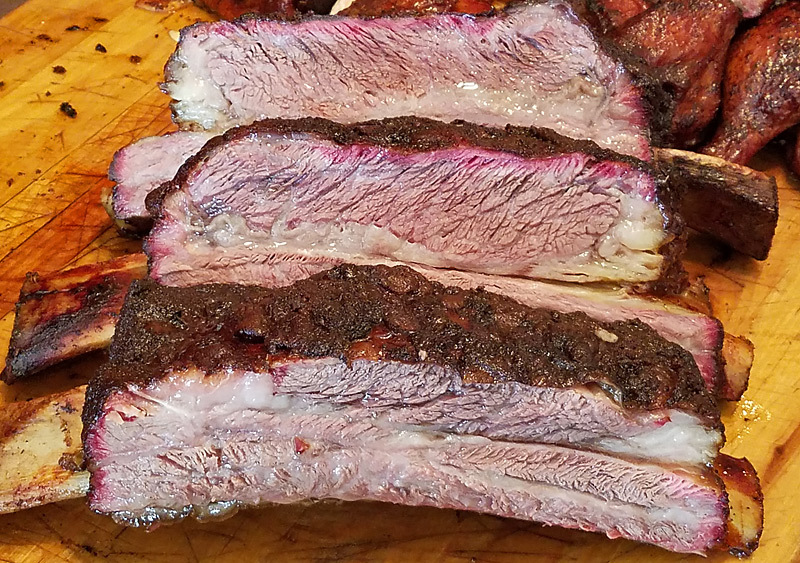 I thought beef ribs were Friday only. 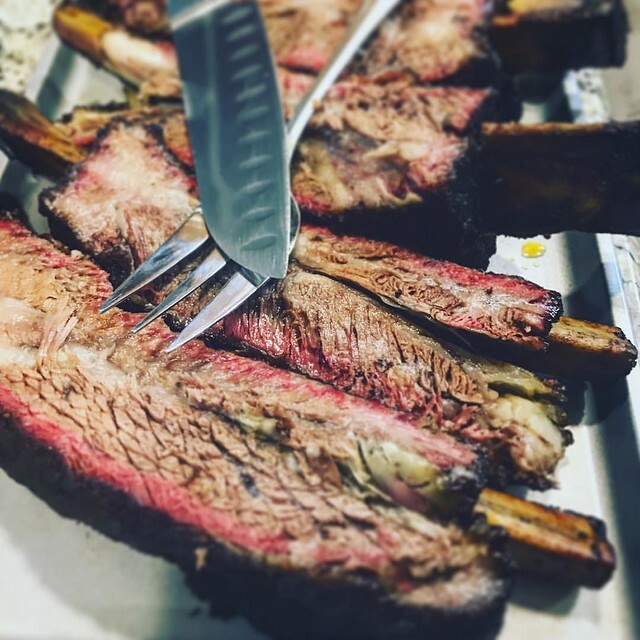 scottsol wrote: I thought beef ribs were Friday only. Maybe, I don't know, but they're on the menu for our lunch next Tuesday. Well, that was by request. Your mileage may vary. 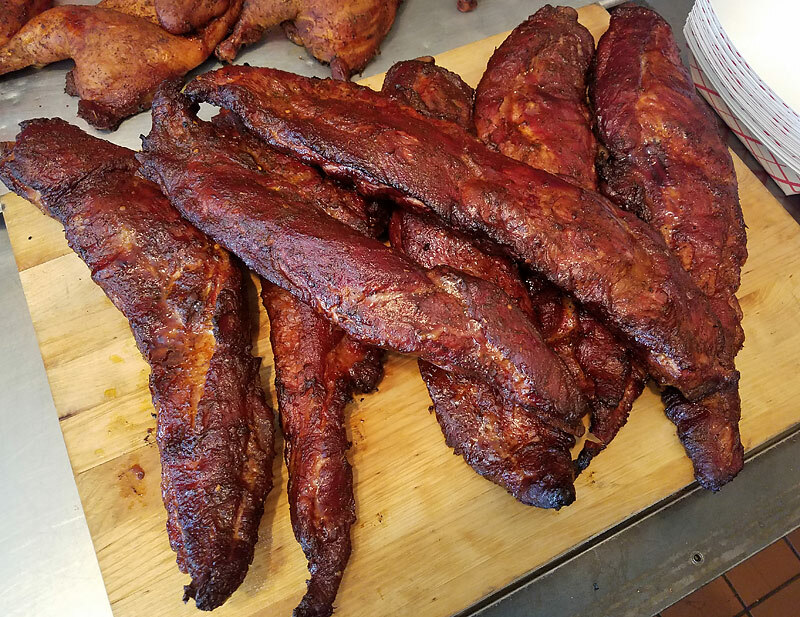 Yup, for some time large groups have been able to preorder meals, not only in terms of the dishes but to ensure the meats were fresh from the smoker . My recollection was that this was available for groups of eight or more. 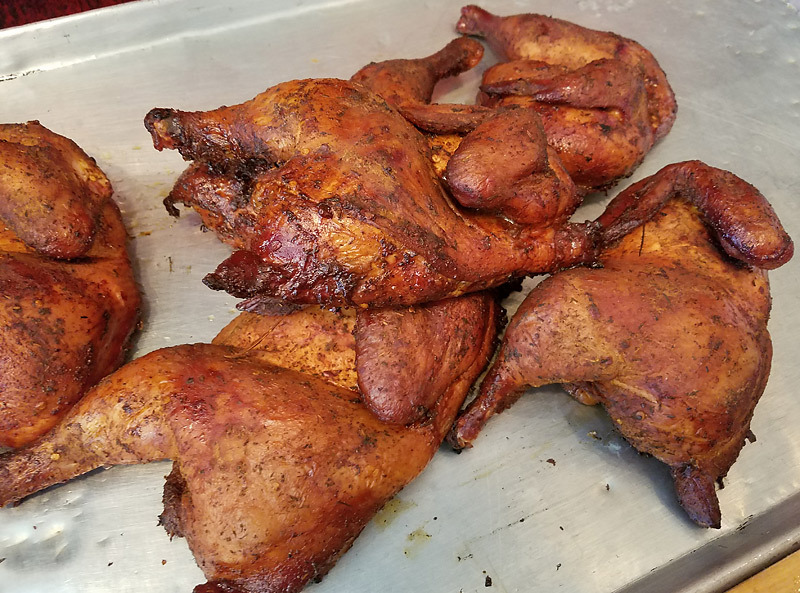 A dozen of us descended on BBQ Supply Co. today for a very enjoyable lunch . . . The pregame . . . 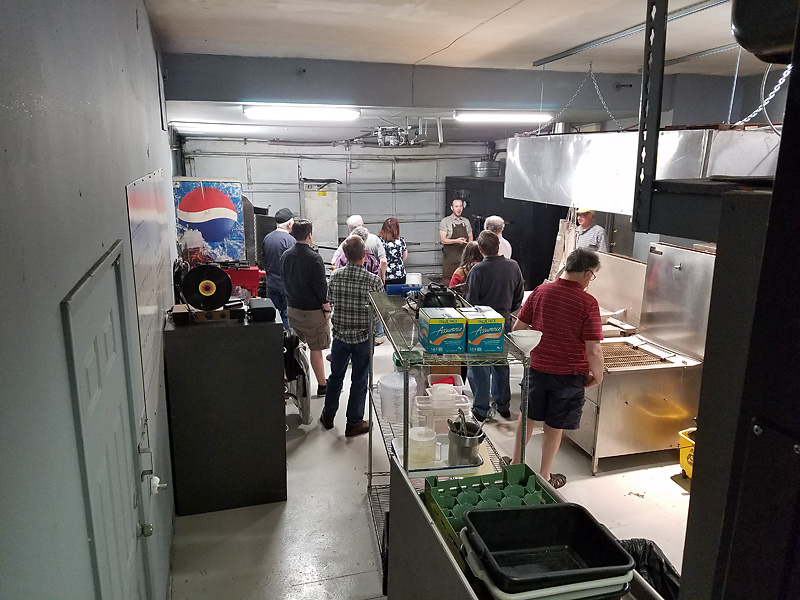 The Event Space @ BBQ Supply Co. The Dining Space @ BBQ Supply Co. Lunch is served . . . I ate what I'm pretty sure was a lot but when I was full, it seemed like there was just as much food still on it. Thanks, to Jared and his crew for throwing down a mega-feast -- and to everyone who joined in today! 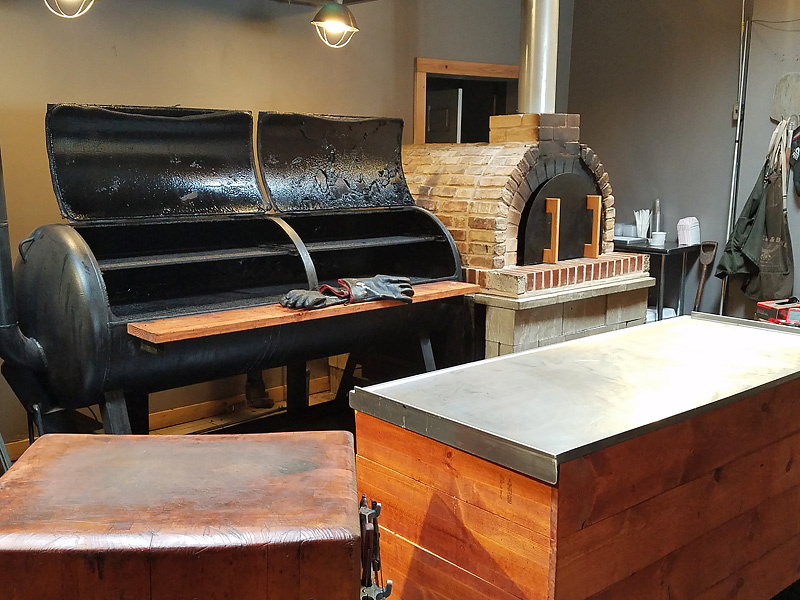 Jared Leonard is looking to open a second BBQ Supply Co. around Nov. 1 inside the former Yusho space, 1301 E. 53rd St. Yusho closed in July. 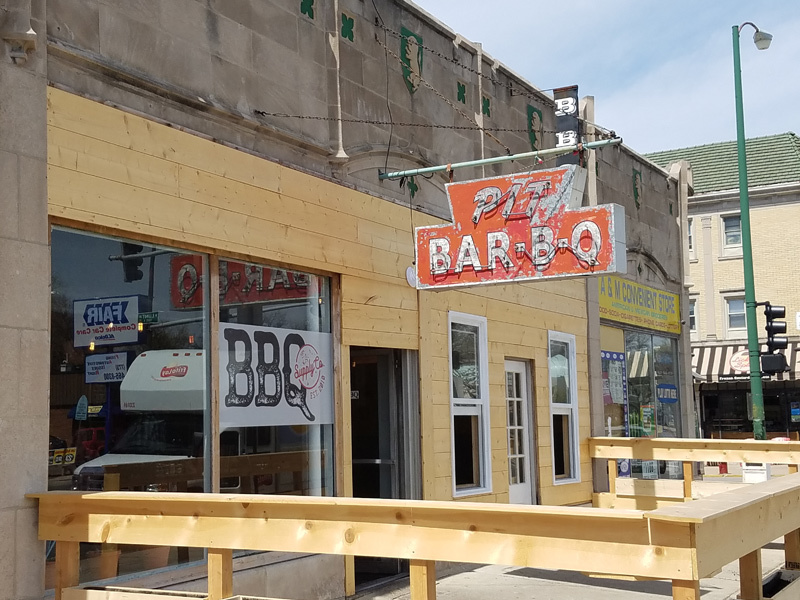 Leonard’s original barbecue spot is in Rogers Park. 2) Hyde Park is finished!! We're running some F&F services this week - and hope to be officially open Friday 10/13. 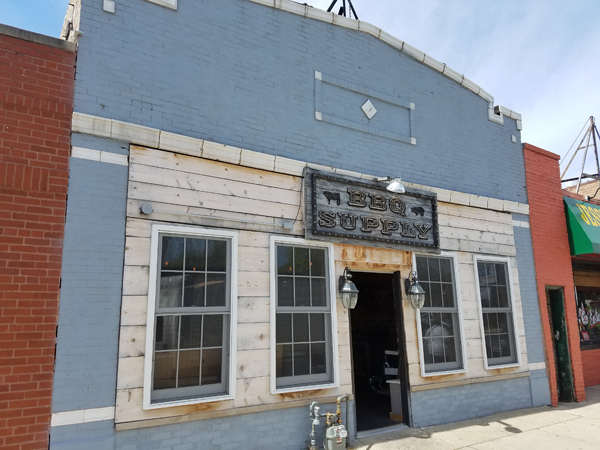 This location is licensed, and will have a whiskey/bourbon program..